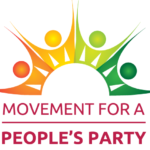 Washington D.C. — Movement for a People’s Party will host the panel “Independent Power: Towards a Party for Working People” on June 2, 10 a.m. at the 2018 Left Forum conference at John Jay College of Criminal Justice in New York City. The five-person panel will be moderated by Jim Vrettos, host of The Radical Imagination TV show out of John Jay College where he is a professor of sociology, specializing in criminal justice. David Zuckerman, the 80th Lieutenant Governor of Vermont. Elected on a Vermont Progressive Party and Democratic Party fusion ballot in 2016, Zuckerman is the highest ranking third party elected official in America. Sen. ​Bernie Sanders calls him, “The most progressive Lt. Governor in the country.” He​ previously served 14 years in the Vermont House of Representatives and 4 years in the Vermont Senate. Gayle McLaughlin, the former two-term mayor of Richmond, California, and independent candidate for Lieutenant Governor of the state. She was a Richmond City Council member for two terms where she broke the Chevron corporation’s grip over the city’s government and passed a broad progressive agenda. McLaughlin is a founding member of the Richmond Progressive Alliance, a corporate-free grassroots political coalition which is spreading to several other cities across the state. Tim Canova, the independent congressional candidate in Florida’s 23rd district contesting Rep. Debbie Wasserman-Schultz. He recently won a lawsuit against the Broward County Supervisor of Elections for the illegal destruction of the ballots in his 2016 race for the same seat, after the validity of the results came into question. Appointed by Sen. Sanders to serve on an advisory committee on Federal Reserve Reform in 2011, he currently teaches law and public finance at the Nova Southeastern University Shepard Broad College of Law in Davie, Florida. Nick Brana, the Founder and National Director of the Movement for a People’s Party, formerly Draft Bernie, the major national nonprofit at the helm of the rapidly growing movement for a new progressive political party. With more than 50,000 members and coverage in more than a hundred mainstream and independent media outlets, the Movement for a People’s Party is building a coalition of progressive organizations for a nationally-viable party for working people. Brana was previously the National Political Outreach Coordinator with Bernie 2016 and a founding member and the first Electoral Manager with Our Revolution. Eljeer Hawkins, the grassroots organizer, writer and speaker who specializes in race, criminal justice, and the historic Black freedom struggle. A member of Socialist Alternative and an activist with Black Lives Matter, Hawkins tours internationally discussing systemic racism in the U.S. He has lectured at Harvard University, Hunter College, Oberlin College, Clark University and the University of Toronto. Discussion Abstract: The United States is in the midst of a historic shift to independent politics. In the past 15 years, tens of millions of Americans have left the Democratic and Republican parties and become independents. Nearly two-thirds of Americans are now calling for a major new party, and just as many are saying they won’t vote in the midterm elections because the establishment parties are so corrupt. In a country that is overwhelmingly progressive on the issues, low turnout in the absence of a major party for working people is empowering Trump and the far right. How can the left rise to meet the challenge, build independent political power and give working people the major new party that they are calling for? The panel will be livestreamed to the Movement for a People’s Party’s Facebook page.